There's a lot going on right now, some random some not, significant all the same. It's scary, a stark reminder that some things cannot be controlled no matter what you do. I feel as if I can do more. Not my career, I know what I have to do there. I mean with everyone else around me. I feel as if I'm supposed to do something, but I don't know what it is. Maybe I care too much, I've thought of that often over the years. Maybe I don't care enough, I don't know. The thing is, I see people around me and I feel like I can do more for them. Is it wrong to think like that? Am I trying to push myself into other people's lives thinking I can be something, when I'm something I'm not? Maybe it's because I've had my fair share of pain over the years too, that it's a preventative measure I'm trying to pursue, to stop others from feeling what I felt. The more smiles I can put on the faces of others, the better they feel and the better I feel too. We can't have everything we want, that much is true. But that doesn't mean we can't try to reach for it, attain it. I'm close to reaching my goals, I can see it getting closer with each passing day. But if I can't help my friends reach goals of their own, then I feel like I've failed. I don't pretend to know everything either. All I can do is try. So far this week I have submitted two queries to two different literary agents, with the plan being to submit to five at a time. I've also drafted a new poem, started a new article for Pixels for Breakfast, started a new short story for an upcoming competition and begun editing another short story for the Secret Santa Initiative. Considering how much I've tried to do in the last few months, that's a considerable step forward in just three days. I made myself a promise that I would put in the time to write more, so far so good I think. The key is finishing off the things I've started, like the editing and such, whilst waiting responses from the first few agents I've submitted to. I'm following some advice from a few authors, seeing what other things I can do in the meantime. More importantly, it's about repairing my confidence. The more I write, the more I get out there. The more I get out there, the more likely I'll be able to make progress this year. Bad memories are just that, but it's how you deal with them and learn from them that defines you. Personally, I haven't dealt with them very well of late and that's been holding me back. I've lost my way and it's been a struggle to find my way back. But maybe I've turned a corner. 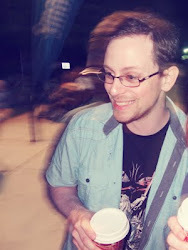 This past week hasn't been kind to me health wise but it's given me time to think, leading to a long conversation or two about where I am and what I want to do. I admit, I hate conversing, I hate trying to communicate what's going on in my head because there are times when even I don't understand it. But it was needed, it was warranted. So now I need to refocus. Not everything will go my way, I know that, but I have to try. I'm looking at finding a literary agent, that's the first step of many. But first, I need to kickstart this blog and find my voice. I'm creative and, yes, I ramble a bit and my editing skills need work, but creativity drives me. It defines me. So I'm pushing forward through the scrub and the dirt. It will be slow and cumbersome but that's part of the challenge, after all. Those bad memories will be gone and forgotten with time, I just have to keep reminding myself of that. The following review contains spoilers. Seriously, watch the movie first. You have be warned. 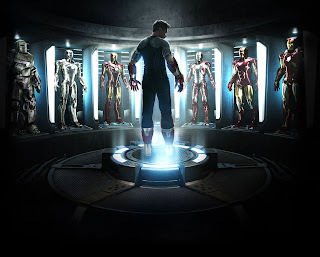 I wanted to share my love of the latest Marvel Studios adventure, largely because there's a few things that I've since picked up on since The Avengers last year that I feel I should talk about. You know, being a fanboy and all. But let's start at the top. I had high hopes for Iron Man 3, largely because of the change in the directors chair. Shane Black, who's previous work includes scripting Lethal Weapon and directing one of my favourites, Kiss Kiss Bang Bang (in which Stark himself, Robert Downey Jr. stars in). It seemed like a match made in heaven when the announcement was made, a director who not only knew the primary star but had a knack for writing witty dialogue. The good news is, Black has delivered. 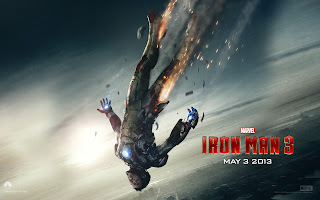 Not only does he continue a few of his little trademarks (such as setting the movie during Christmas and the always important kidnapping), but Black has also hit home the key points of what makes Iron Man great and cranked them up a notch or two compared to the previous two in the series. So much so, in fact, that it eclipses them in both tone and character development, something that was sadly missing during The Avengers. The fact remains that after three movies, you have to find another angle to make Tony Stark stand out, which is exactly what's been done. Having survived the alien attack on New York, Stark has since become entrenched in his work even more than before, building more complex and different armour sets in response to the new threat on the human race, and the imminent threats that may follow. He's worked himself so hard that panic attacks threaten not only his sanity, but his relationship with his girlfriend Pepper Potts (Gwyneth Paltrow) and his best bud James Rhodes (Don Cheadle, aka War Machine, though here he's been rebranded Iron Patriot). Stark's sudden realisation of what's out there has turned his life upside down, though while the universe keeps turning the Earth continues to bring up threats of its own. 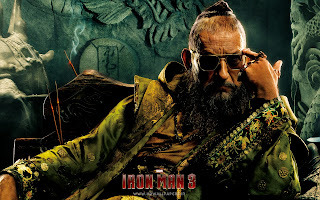 Enter The Mandarin (Ben Kingsley), who I guess you could call Marvel's Osama Bin Laden, though that's an unfair assumption to make considering the character was a primary villain of Iron Man's universe years ago in comic lore. The reflection of modern terrorism, however, is as clear as day. Mandarin, however, isn't the real threat here, which is a little disappointing given the rivalry both have had over the years on the page. Just like Batman Begins, the character has been altered to fit within a different ideal. Thankfully, that change works wonders. The other threat is A.I.M, led by Aldrich Killian (another great performance by Guy Pearce), who's initial interest is selling a new concept called Extremis, the ability to alter the mind for the better. Of course, as villains do, his plans are much broader than that as the movie settles into its rhythm to explain this new threat. There's a few things that differ IM3 from its predecessors. For one, Tony Stark has an opening and closing voiceover to help explain the setting. 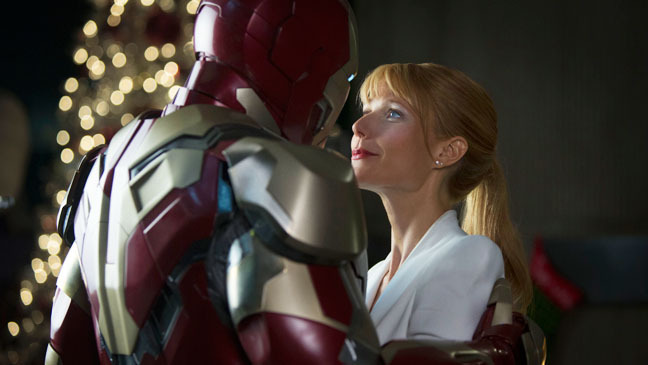 There's also an opening flashback scene which not only introduces us to an earlier Tony and Happy Hogan (great to see him there), but also some very welcome touches that not only fill us in on the story to come, but also some nods to Iron Man's eventual creation (I actually won't spoil this, but hopefully you'll see what I mean, I smiled very broadly). It's a slow pace at first, though once the action kicks in about a third of the way through (i.e. the end of act one) it barely lets up from there. Tony's life is turned completely upside down as the Mandarin attacks his home and threatens the life of the US President, among other things, whilst almost all of Tony's close friends are left in disarray for one reason or another. It's here we also get to see another side of Tony, one lovingly crafted and acted by both Downey and a young counterpart who finds Stark in his parents garage, broken Iron Man armour and dented pride barely intact. The dialogue sparks between the two with little jabs and jokes, which helps to allow the audience to breath and laugh just a little considering the action sequences prior to it. It's a welcome addition to the characters development, as I said it's something that was sorely needed given the very little amount seen in Iron Man 2 and Avengers itself. To watch Tony out his comfort zone completely, stressing out about what to do only for a kid to give him advice ... it's refreshing, if nothing else. The rest of the movie is typical action fare, though it's meaning is stronger than most. We see what Extremis is really capable off, and thanks to some well crafted visual effects it's stunning to watch. It's a shame, really, that more couldn't have been done to link the technology to Stark as in the graphic novel it's based on, but what's here is exciting. I'm just glad Tony not only gets to battle someone equal to him that's NOT in another power suit, but he also gets to use his smarts outside of a suit itself in order to get passed his adversaries. Kinda felt like a cross between Iron Man and James Bond with all his gadgets there for a while. If I do have a gripe with IM3, it's the Mandarin. Such a strong character and a scene stealing performance by the seasoned Kingsley, but the results are far beyond what we've come to expect of Stark's greatest rival (and what I kinda hoped). The fact that he's a ruse, an actor thrown into the fray to cover for Killian, is a little disappointing. Understandable, but disappointing. It's like Ra's Al Ghul in Batman Begins, a character portrayed very differently than what we as fans are used to, but it's understandable as to why they went that direction. It does make sense, in fact it's a little more humorous than I was expecting, but the dialogue and the eventual reveal of Killian's true persona make up for any gripes I did have with Mandarin's portrayal. The final act is brimming with action that is deserving of the Iron Man name. Again, there's no bad guys in battle suits, the threat is much greater for our hero than just a man out for revenge (granted Killian does have that in mind, but it's not just directed at Tony this time, unlike both Iron Monger and Whiplash) and the supporting roles have a much more important and welcome role to play. It's great to see Rhodes and Potts get involved, and even Jarvis has some wonderful moments as hundreds of suits fly in around the battleground. A few minor things I noted that a few others may have overlooked. I'm actually very grateful that S.H.E.I.L.D play absolutely no part in the story, not even a cameo. It wasn't necessary, though there are various references to the New York incident across the story, so I was relieved that there was no Fury or Maria Hill in sight. Also, of all three Iron Man movies, this has to be the strongest musical score of the lot. I have a soft spot for the first movie's original score, but the Iron Man theme here booms and resonates as a theme that sticks in your head in the same way the Avengers theme did, though perhaps even more than that. Lastly, how cool was it to see Happy Hogan get some welcome character development! I was worried that he would be left behind considering the change in the director's chair, but there was a ton of Jon Favreau and it was awesome to see. So what next? IM3 ends with a 'Tony Stark will return', but in what capacity? 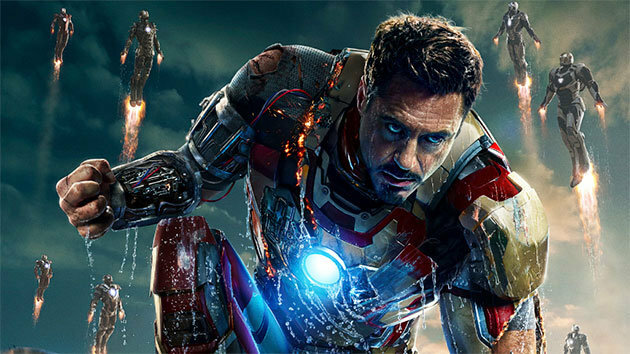 Certainly in Avengers 2, but will it be his last appearance? Will Downey hang up the armour for good? Personally I believe Iron Man as a standalone series can happily come to an end here, hence the final scenes and the end credits sequence. But it's the AFTER credits sequence that makes me grin in anticipation, that Tony will still play an important role during Phase 2 and 3 of Marvel's movie plans but possibly in a smaller capacity, cameos here and there before major roles in the Avengers sequels proper. I've kept you long enough, this is actually a little too big an article and I've still got more to say, but I'll do that in a separate article later. 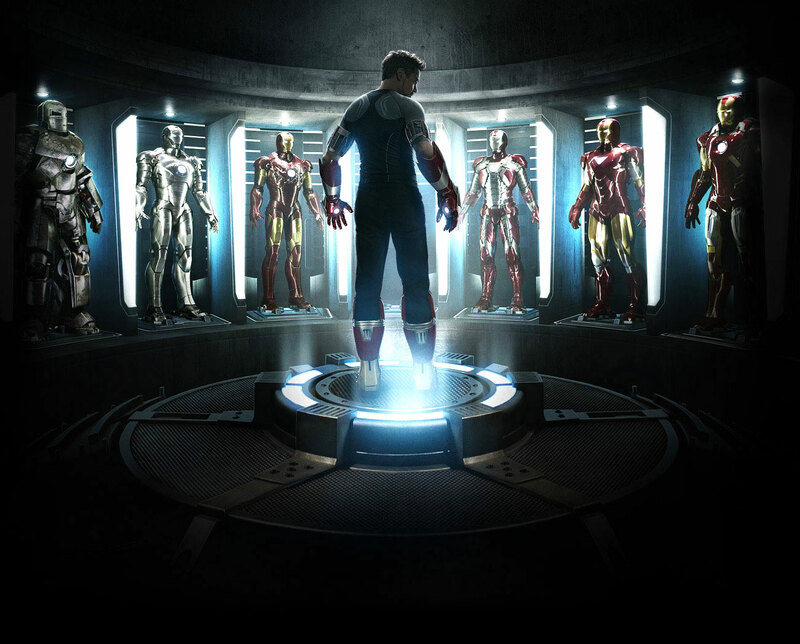 For now, see Iron Man 3 and enjoy it. It's fantastic fun and highly enjoyable, and it bodes me with confidence for Thor: The Dark World this November. Phase 2 has begun with an almighty bang.